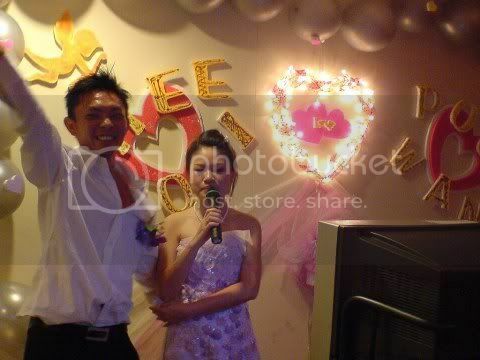 ok.. here is 2nd Wedding dinner i attend this year, and she's my cousin, another shock .. long time didn't keep in touch, by the time i heard from her. BOOOM, she going to become someone wife. 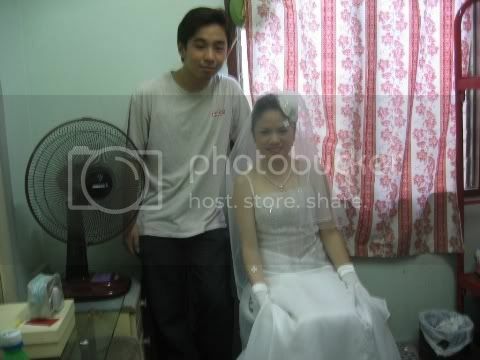 hmm.. 2006 is very very suitable years for wedding huh? 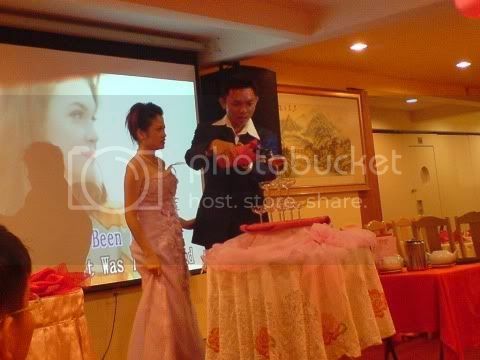 full of surprize .. mou lala so many ppl become father lar mother lar~ what lar . gosh..
okies.. my eyes can't take off from this vehicle.. can't imagine he use toyota MRS as his car. 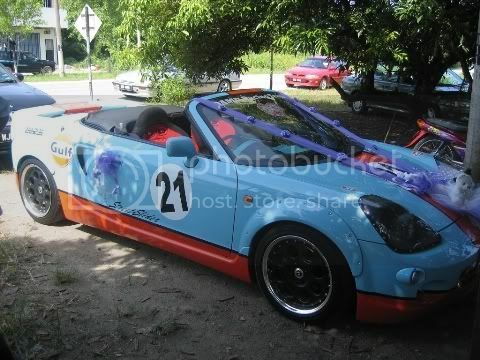 cool.. but.. the sportcar paint... a bit not so suitable for this event.. don't u think so ?? but anyway... it still a CONVERTIBLE SPORTCAR by Toyota. 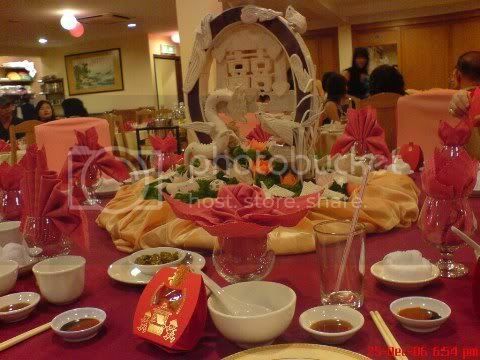 family table decoration. i notice it look very special and nice. so.. hand ichy and took some photo of it. here is another duet song from both of them. great ~ he look so high, of course, tonight is his most memorable day in his life .